In need of ideas for how to entertain the kids this August bank holiday? We have a few ideas to make sure you squeeze in one last hurrah for summer! KidZania London, the indoor city run by kids, has teamed up with the Government’s Year of Engineering campaign to launch a programme of exciting events and activities designed to inspire a new generation of innovators, inventors and problem solvers! This August at KidZania, come and try out the Sea Cadets activity where experts will teach your children all about Marine Engineering – showcasing real engines and teaching kids how engines work through hands-on learning experiences! Book your tickets for KidZania London’s Year of Engineering Festival and gear up for an inspiring, creative day out this August. From 21st July until 2nd September ZSL London Zoo and ZSL Whipsnade Zoo are celebrating all things SUPER this summer - giving kids the chance to put their animal skills to the test in the Superhero Academy. This is sure to be the cherry on top of the summer holidays for your superhero-obsessed kids! Devoted to the worldwide conservation of animals and their habitats, the Zoological Society of London (ZSL) is a charity that runs ZSL London Zoo and ZSL Whipsnade Zoo. ZSL London Zoo is perfect for those visiting London for the day, situated in the heart of the Capital with over 650 animal species to discover in our exciting and innovative new exhibits it's a perfect way to immerse yourself in the animal kingdom. ZSL Whipsnade Zoo is the UK’s largest Zoo set in 600 acres of beautiful scenery with some of the biggest, rarest and most majestic animals alive. West Midland Safari Park will once again be open late every evening for their Summer Nights event from 28th July – 2nd September 2018! Each week during Summer Nights, there will be activities focused on a different conservation charity - raising awareness about bumblebees, tigers, penguins, zebras & elephants! 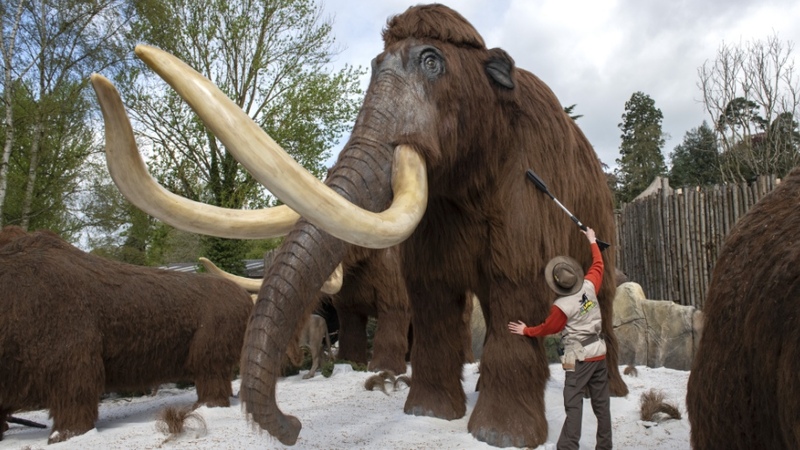 There’s also a NEW exhibit for you to explore - step back in time and explore the brand-new Ice Age exhibit with moving, breathing and roaring creatures! This new area is a fantastic addition to the park, complementing the popular Land of the Living Dinosaurs attraction. Take your little explorers down to West Midland Safari Park this bank holiday for an extra special day out that the whole family can enjoy. Let’s boogie at Twinlakes Free Party Weekend Music Festival! 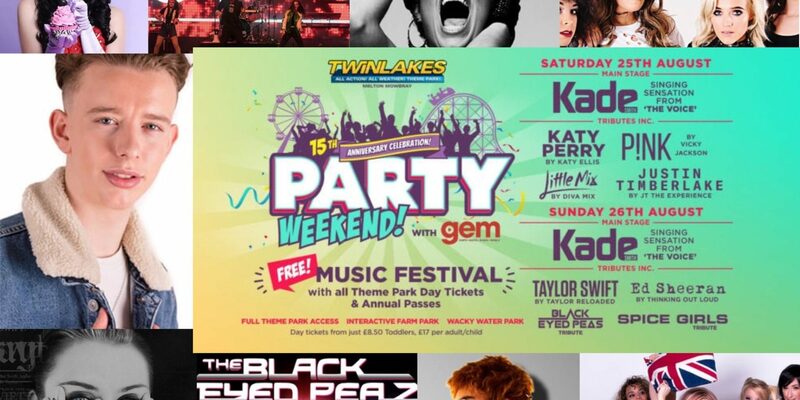 Get yourself down to Twinlakes theme park in Melton Mowbray for their FREE Party Weekend Music Festival this Bank Holiday weekend! In the day you can enjoy rides, attractions, farm and water park 10am – 5pm, with the music festival running into the evening. Day tickets include everything! 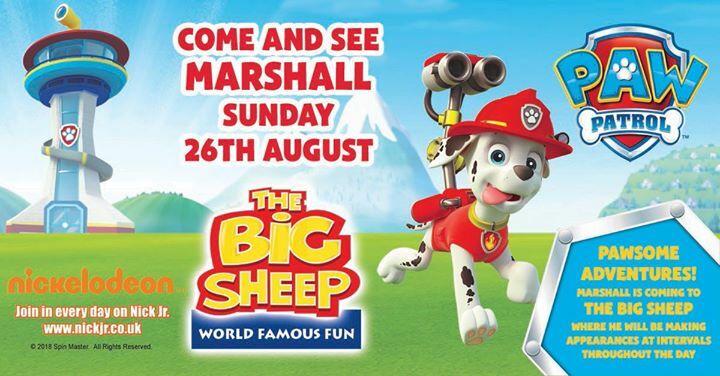 The heroic pup is returning to The Big Sheep to see his North Devon fans and he cannot wait to see you all! Marshall will be making personal appearances at intervals between 11am and 3.30pm in The Big Sheep’s indoor animal barn, for you to pop along and say hi. In addition to this fabulous meet and greet, The Big Sheep has lots more to make your day out this Bank Holiday even more special. Whatever the weather your family is guaranteed fun with live shows, rollercoasters and rides, archery, combat games, micro craft ale brewery, gin distillery, farm animals, great eateries and more! Looking for more offers on days out? Have a browse here on our website for over 4,000 family-friendly offers, or download our free app.